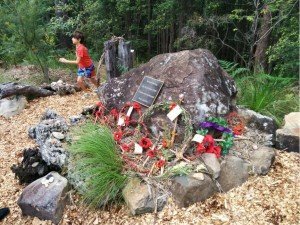 On Friday 13th February, National Apology Day, over 80 people gathered at Buderim to honour Indigenous servicemen and to apologise for discrimination when they returned. 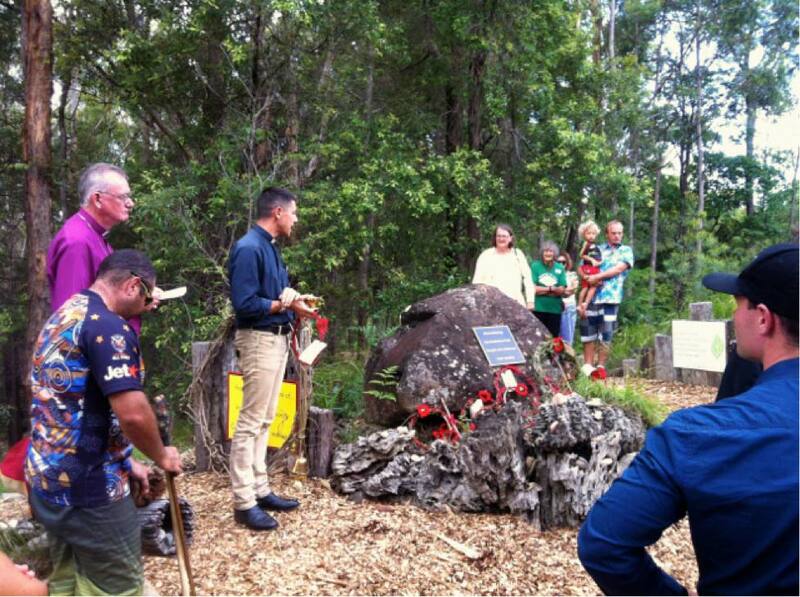 Prof John Maynard spoke about the experiences of the servicemen and their families, and Archbishop Phillip Aspinall dedicated a memorial to the Australian First People who have fought in defense of their country, and to the Australian South Sea Islander service people. Brent Miller, Archbishop Phillip Aspinall and Father Jeremy Greaves at the dedication of the memorial, Buderim Forest Nature Refuge, Lindsay Road, Buderim. Visitors from Brisbane and Toowoomba and Brisbane joined people from Buderim and the wider Sunshine Coast for a lecture at St Marks by eminent Indigenous historian Professor John Maynard, a director at the Wollotuka Institute at the University of Newcastle.